Arang and the Magistrate is adorable and crazily ambitious. It pulled a huge game changer in episode 4 that reset the OTP and raised the stakes to astronomical levels for all the main characters involved, even the omnipotent ones. This is no longer just about the mystery of Arang’s death, this drama now is about the curiously unbalanced state between the world of the living and the dead, and how it can be fixed through Arang investigating her own life and death. So while Arang is in it for the personal pay off, the world (and audience) waits with bated breath to see how it has greater ramifications. If episode 3 was Shin Mina‘s episode to shine as Arang grieving over the unfairness of her life cut short, episode 4 was Lee Jun Ki‘s opportunity to show us a reluctant new magistrate trying to do the right thing for a ghost that has somehow wormed her way into his life. I love that Eun Oh is the one who can’t let go of Arang, and he’s now using his mother search as justification to stick around. I can foresee the OTP falling for each other gradually, and the angst of a relationship with an expiration date due to the whole dead-alive schism is so daunting and painful that I want to believe it’ll all work out once Arang finds her killer. 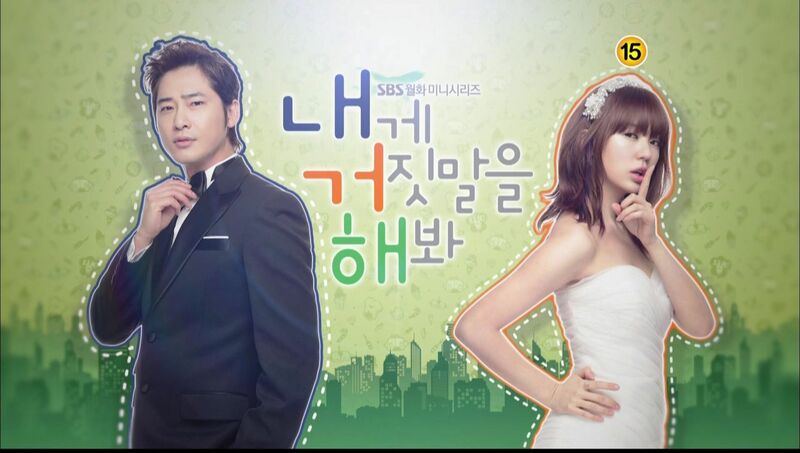 But we have no guarantees on that, which is why I love this drama so. It’s gorgeous to look out and makes me feel all sorts of alive while watching it, despite its patently morbid subject matter. Eun Oh looks around but can’t find Arang anywhere. He finally locates Bang Wool who is running back home after the frightening encounter with opening the portal and the Soul Reaper. He finds out that Arang did the unthinkable – she summoned the Soul Reaper and went with him to the afterlife. 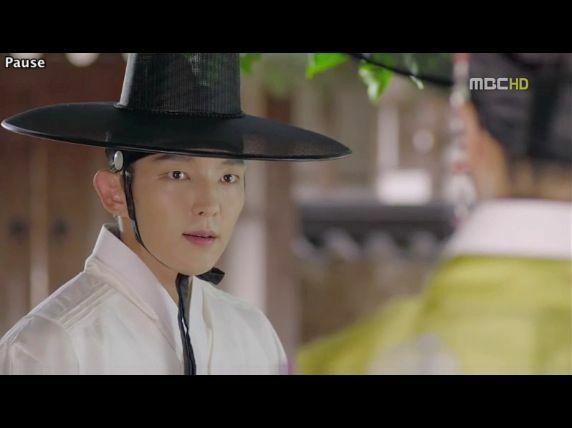 Arang walks behind Moo Young and tries to engage the poker face in some conversation, asking about what would happen if they went into the portal. They would cease to exist, and that is far worse than even being dead. Arang isn’t scared, but she’s not sure why Moo Young appears to care. Moo Young brings Arang to the edge of a river, and in folklore this is the River of Forgetfulness that dead spirits must cross upon death. Arang gets into the boat and it sets sail, though she looks back (towards Eun Oh and the land of the living) knowing that this is a one-way journey and she didn’t say her goodbyes. The boat sails and the screen turns from color to black and white, and then Arang steels herself as the boat heads towards a massive waterfall. The boat tumbles over the waterfall which is really a giant circular sinkhole. Arang is in the water and then she hears Eun Oh’s voice telling her to look over there. She opens her eyes and she’s in darkness following behind Moo Young. They arrive at the end of the road where a supernatural being appears to be guarding an entrance. The being has red glowing eyes and long sticks for arms and legs. The supernatural being leaps towards Arang and they stare at each other. Cut to Eun Oh talking with Bang Wool, who is using her shaman knowledge about the afterlife to tell Eun Oh that Arang has gone willingly to a Hell that has ten-levels worth of torture. Where a dead person goes depends on what that person did when alive, and Arang has done the unforgivable to the Soul Reaper so she’s sure to end up in the worst level of Hell. Eun Oh looks worried, but tries to reassure himself that Bang Wool is just a fake shaman and knows not what the situation is like for Arang. 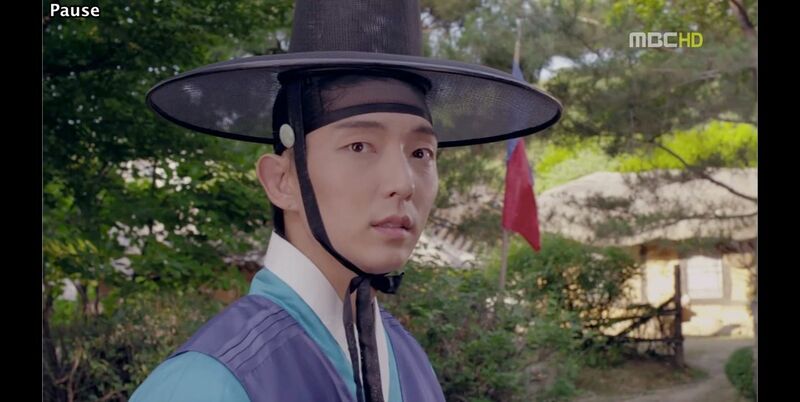 While Eun Oh is away trying to find his Arang, Dol Swe the trusty servant is keeping watch over the agasshi’s body per his master’s instructions. Lord Choi hasn’t given up trying to get the dead body so he sends minions to go get it by force. Dol Swe vows to die before letting his master down, so he valiantly fights the thugs who easily beat him up. Thank god Eun Oh arrives in time and he throws around a shoe to disarm a minion first, and then throws around his dad’s name to get the minions to back down. No one is ready to piss off Lord Kim, one of the highest ranking officials in Hanyang. Lord Choi’s thugs leave and Dol Swe hugs his master tearfully, while Eun Oh pats his trusty servant on the back for a job well done. Since Eun Oh can’t find Arang, who might have gone to the great afterlife, he decides to handle her body the best way possible. As magistrate he orders her body prepped for burial, and sends out a decree for all the citizens of Miryang to come apologize to her body for dishonoring her these past 3 years with gossip that she ran off with a servant. 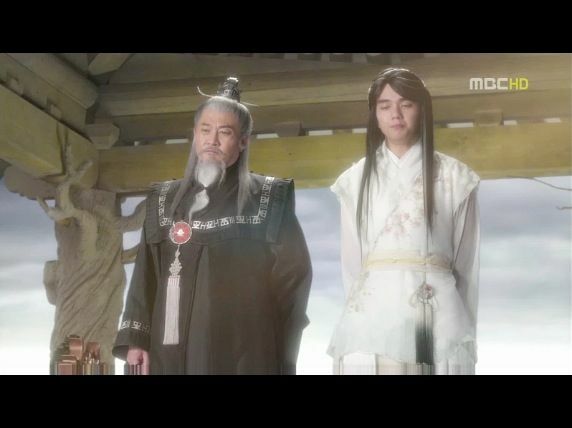 The day of the burial arrives and Eun Oh is wearing all white in place of the agasshi’s kin (since her father the former magistrate has died). As Eun Oh walks out of the room to head to the burial service, Arang runs up to him and he stares at her like she has five heads and is spewing fire. 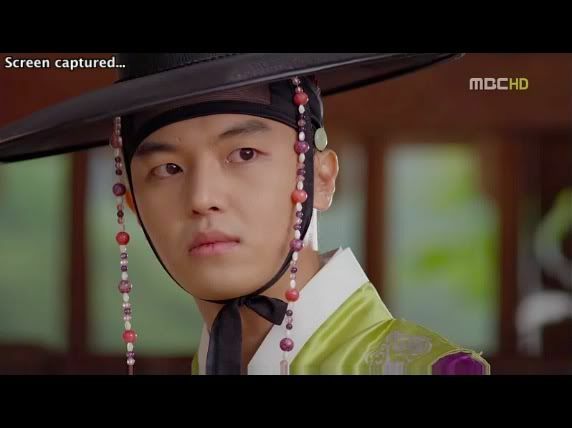 What’s even more jaw dropping is that Dol Swe can see Arang as well, and wonders who is this pretty lady? Eun Oh yells at Dol Swe to leave (so he can speak with Arang alone), which leads Dol Swe to jealously assume his master has secretly found himself a girlfriend. Once alone, Eun Oh touches Arang and she happily announces that she’s human now. Uh, care to explain, missy? Eun Oh asks what happened, but Arang is more interested in talking about how Eun Oh is trying to regain her honor and giving her a proper buriel. All very touching. When Eun Oh presses her again, Arang smiles and explains. 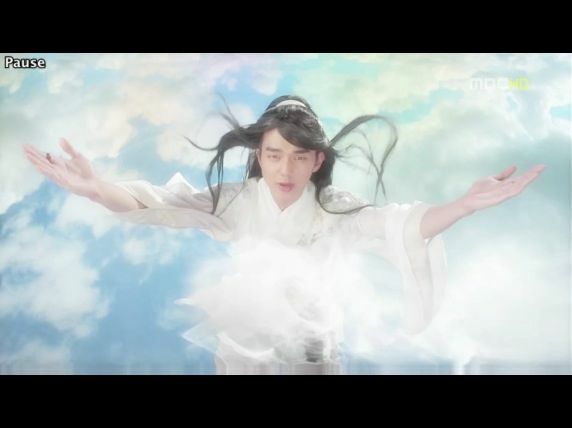 Turns out the supernatural being allowed her to pass and Moo Young brought her flying through the Heavenly skies to meet with the Celestial Jade Emperor. Arang stands before both gods, the Jade Emperor and the King of Hell, and she mistakes the latter for the ruler of the skies since he looks old and wizened. She’s shocked to be corrected by the handsome youngster, who announces that he’s the one she seeks. 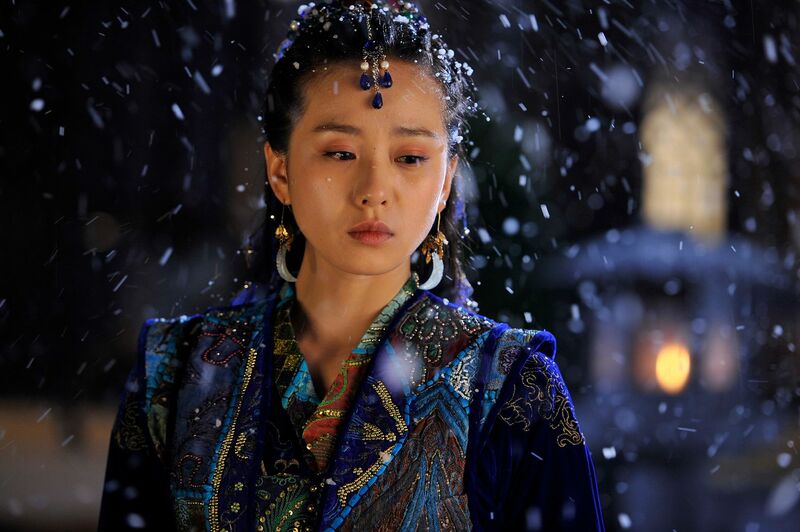 Arang demands to know what happened to her, but Jade Emperor claims not to know since he can’t be expected to keep up with everything happening down there. The Jade Emperor and the King of Hell have clearly conferred beforehand and Arang is told that she has a choice – either go to Hell now, or she can be given human form to investigate her death. Arang barely thinks about it before accepting, since what is there for her to lose. 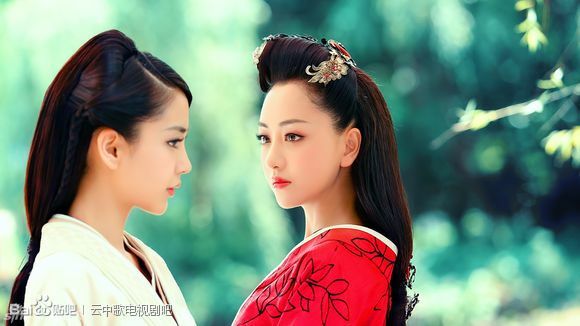 The Jade Emperor and the King of Hell use their ying and yang energy, which forms the bedrock of all living things on Earth, to resurrect Arang and give her a human form. 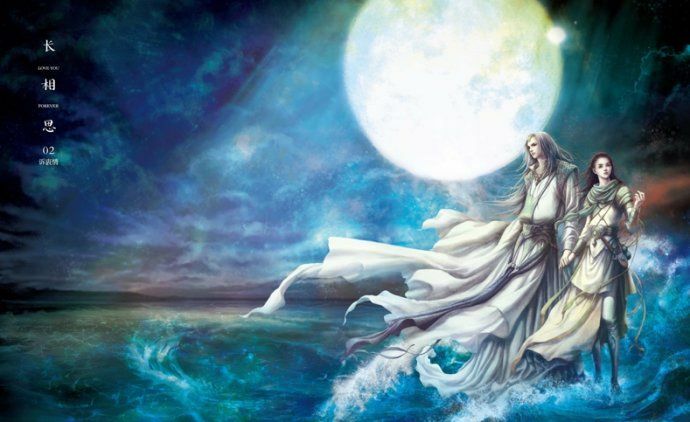 Arang is swept into a ying-yang swirling wind ball and reborn in the water as a human again. Her spirit isn’t dimmed though, and she emerges on the surface yelling at the Gods for being crazy to let her be reborn buck naked and nearly drowned. Ha, I love her sassy ways! Arang steals some clothes and runs into a ghost, who she can still see, which means she’s like some hybrid ghost-human thingie now. Arang enters Miryang during the day and asks a little boy what he sees, and is pleased as a peach that he calls her a pretty lady. Arang flounces off but then stops when she spots the notice of her burial and everyone is to apologize for besmirching her good name. She runs off to find Eun Oh. Which leads us back to Arang telling Eun Oh how she came to stand before him in human form. Eun Oh drags her into the room to talk and Arang cheerily says she can help him with her own murder investigation now. Eun Oh questions why the omnipotent Gods would allow her this chance, which Arang doesn’t know and doesn’t care to think about. Dol Swe comes calling so Eun Oh tells her to stay put since he’s got to lead a burial service now. Arang goes to the room of her former self and can finally see her own reflection in the mirror. Arang thinks back to her meeting with the Gods, and how the King of Hell wants her soul forever more if she fails in her quest to find her killer in three months. She’s given a metaphorical bell which will ring when she finds her killer. 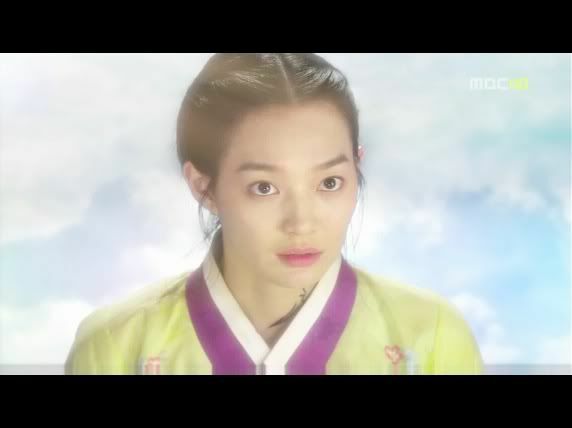 Arang asks for a favor if she succeeds, which is that she can become human again. Arang has full confidence she can do it since she’s confident and assertive unlike her former self. Back on Heaven, this quest is taking on even more stakes, as the King of Hell asks his brother the Jade Emperor whether he ought to be trusting Arang with this task. It’s clear that Arang finding her killer is just a McGuffin, and the Gods are likely using her quest for other means. The Jade Emperor has faith everything with work out. The King of Hell asks for his own bet with big brother, which is that he gets big brother’s pretty youthful form should Arang fail. This actually startles the Jade Emperor, who nonetheless agrees with this bet. This round of Go goes to the King of Hell, which actually means someone dies on Earth. The burial for Arang’s body heads out to the mountains. Joo Wol stares at the sky with his usual sullen wide-eyed look. In a courtyard somewhere a lady sits inside a room, and then we see Joo Wol locks the courtyard door securely. Oooh, what’s he locking inside? Lord Choi has decided to give away his stores of rotted food to the people and gain their gratitude. This despicable behavior doesn’t sit well with his son Joo Wol. Lord Choi points out that tomorrow is a full moon, and one in a leap month, so that is extra important. What will happen to Joo Wol if he doesn’t find “the girl” before tomorrow? Will “the person” cast Joo Wol aside? Joo Wol isn’t fazed and counters that Lord Choi ought to attend the funeral of his once-future daughter-in-law and buy drinks afterwards to garner thanks, rather than giving out rotted food. Arang changes into the uniform of a magisterial officer and and sneaks off to the burial to say her goodbyes to her own corporeal body. Along the way she runs into Joo Wol, who grabs her arm to keep her from falling. His black ring glows red when he touches her and this alarms him greatly. She thanks him and leaves, while he follows her. Arang arrives at the burial site and tries to stay inconspicuous, but the Three Stooges wonder why she’s not shoveling dirt so she sasses back to them. This causes them to wonder who this new officer is, and Arang has no choice but to run away. Eun Oh sees it and looks worried and takes off after her. Arang runs through town as the Three Stooges chase after her. She runs to a dead end and tries to climb over the wall. Joo Wol arrives and she asks him for a lift. He helps her and she promises to remember this favor. Eun Oh spots Arang disappearing over the wall. He runs over and sees Joo Wol there. Commence yet another round of Eun Oh-Joo Wol stare off. Oh this will never get old for me, and I know which cute pie I’m rooting for the whole way. Someone loves this show. Thanks for the fast recap. I think my favorite scene was when EO was talking to Arang’s dead body. I teared up, feeling his loss and sympathy for a Arang, who despite being dead had left a mark on his heart. The idea that this girl who had suffered so much had to go to hell for eternity? So not fair. Plus, it felt like how can you be gone already when I never really even got to know you but what I saw I really liked and wouldn’t it have been fun to run around together? I do have a theory about how all of the living world fits in. JW is a body snatcher. He may have even residing currently in a snatched body. That is why the father said something about a shell, didn’t he? JW and his father work for the gisaeng lady in the room, and her soul is the one who receives the bodies, uses them up, and throws them away. Her current body is EO’s mother who was tricked into helping. The next planned possession had been LSR’s body, but something went wrong, and she was killed before whatever horrible body swapping ceremony could take place. Maybe the fact that her body didn’t decay is one attribute to being the perfect body. This leaves me to believe that JW did not plan to kill her but she escaped from his clutches at the crucial MAGIC moment, and her real death resulted from your typical girl-falls-off-cliff-and-dies-after-being-chased. That means for the past three years, JW has been searching vainly NOT for Arang, but anyone else that’ll set off his perfect body detector ring. We saw JW had not found anyone among the gisaengs. There must be an upcoming expiration date for the lady’s current body – that being the full moon. If Arang had stayed away long enough, she would have been safe. JW would have failed, and probably sent to a bad bad place. PS, I am pretty sure they used Niagara Falls for the CGI falls. They were also used in one of the PotC films. I live near there and have seen them many many times. Interesting theory. My favorite part is the brothers due to that I adore them in WBDS. They are soo awesome together in this drama. I lol of the old man ask his younger big brother to use his body if he win. =) Now, for the gisaeng and the lock door. I am not sure but we will know more from the preview and also oh no arang is kidnap or something bad happened to her.. Have you watch May Queen yet Koala unni/jomo? I like that drama so far. i really like your theory so i’d like to share it on soompi’s arang thread, hope you don’t mind. Ooooh! That would be fun. Thanks for asking. I also think she didn’t killed her, but when I saw his look and how he’s talking with his father I’m sure he has feelings for Arang. Something tells me, reason why Arang is alive has something with you’re theory about gisaeng lady. Maybe she’s the one who Jade E. wants. When time comes Arang will be the weapon in his hands. I ike that, mtoh, maybe because of whatever powerful majik they got going there screens her from the Jade E.
Suddenly I am thinking horcruxes, and other black magic that requires other folks to be sacrificed for the bad guy to maintain immortality. Shivers. I am totally afraid of stuff like that! Sacrifice, That’s gonna happen…I wonder what gisaeng lady promised to JW and his father. My biggest question, what did avatar said Arang on the gates of Hell/Heaven. As much as I love EO, I really want Jade to step on the Earth. Love this theory! 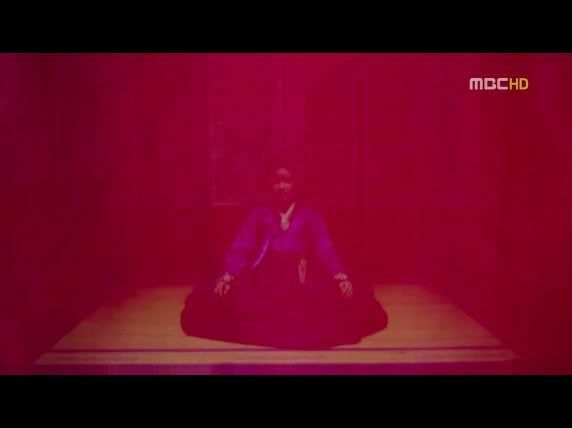 It would really explain why the gisaeng looks like Eun Oh’s mother, but seems waay more evil and much creepier. I think they definitely have her locked up, but I don’t yet have a theory on how they are able to control her/keep her there. I really love this theory, it all really does fit when you think about it. Thanks for another great recap. This drama is soooo good. I can’t wait for the next episode, the preview left me wanting more. Really enjoy reading the comments. @jomo I like your theory, enjoy reading your comments you always have such a detailed eye for what is happening. @ jomo thanks. i wouldn’t be polite to take your comment without your permission. I also think that the lady behind the red curtain is the Magistrate’s missing mother, but what bothers me right from the beginning is the Magistrate himself. He can see and touch ghost, but does not seem to bother this any important character(the bothers, keepers), even himself. Like if he is more/other than human. When I re-watched his last conversation with his mother, I felt like his mother is sending him away to protect him from something, knowing about what his masters is up to. I think the magistrate knows more then he reveals. I like JW’s character. Interesting that he HAS to like the girl before he brings her to her destiny, I mean the lady demon(?) behind the red curtain. Red means passion right? If JW’s ring become red, he has to take the girl behind the red curtain. How ironic. Funny that everyone around him knows about his type of girls. Does he only like pure noble ladies? I hope he’ll take Arang side, I don’t think he is a ghost from the 400 years ago incident, I think(hope) he is still human. I have a question, maybe some of you understand this part better than me. Do you think the Jade emperor was talking about the “new” Arang when he said the following during the process? Maybe this is why she still sees the ghosts, because only her body is alive not her soul. In that case they can’t kill her right? I also think JW has feelings for Arang, this time he’s probably try to keep Arand alive. I’m also curious when he made her, it looks like he made her. What about body they buried? Hmmm, did they said her father was Magistrate as well, maybe we have pass on gifts?! Yes, he totally has and afraid of it. What do you mean JW made her? You mean to become this kind of ghost? I don’t think anyone else other then the shaman (hwang bora) knows about him being able to see and touch ghosts. Even his sidekick/servant doesn’t know (remember the very begining of the first episode dolswe was afraid of possible ghost in the forest while Euoh kept making fun of him for believing that). I guess it’s not not gonna do any good to his father’s reputation if people learnt about it. Well, the keeper(the one who takes ghosts) saw him lifting Arang up to the horse. I thought he’s going to tell about him to the Jade emperor, but he did not. I am just curious why no one care about his ability and why he has it. I think what the Jade Emperor meant is that during her life, she never really lived. We know she was somewhat of a recluse. But when she was dead, her spirit (as Arang) really started to live, to have experiences, and to become her own person. So, although she was dead, her spirit had more life to it than it ever did in her previous body. It does make sense, but what is she now? A dead person in a living(moving) body, so she can’t die? I hope it’s not her blood in the preview! “For the person who was alive during the death and was dead during the life, allow the living body and dead heart.”?? I think Jade Hottie was talking about the person who Lee Seo Rim become when she died. She is Arang, not Lee Seo Rim. Lee Seo Rim, that woman, the shy, living-in-her-room, totally polite, lady like woman…she died and was buried. Period! Now, Arang, who have Seo Rim’s face, is a whole new person. She yells, she kicks, she fights, and she wins!! Someone who doesn’t back down or give up. Someone who will do anything and everything to achieve her goal, find Seo Rim’s killer and know why. They are NOT the same woman; they have the same physical appearance, but a totally different attitude. I see them as identical twins/fraternal personalities!! I know that well my father is an IT/FP. They are night and day! *For the person who was alive during the death = Arang, she was kicking and screaming!! And very alive. *and was dead during the life = Seo Rim, she wasn’t living. She was dead, on the inside. *allow the living body = Seo Rim’s body, without changing it. *and dead heart = Arang’s heart, and personality. Even Arang says so, that she isn’t the same as Seo Rim, when she was yelling at Jade Hottie and Dr. Doom, in Seo Rim’s room, about not needing 3 months to discover the truth! Good thinking “Seo Rim’s body with Arang’s heart”. So simple, might be the truth. 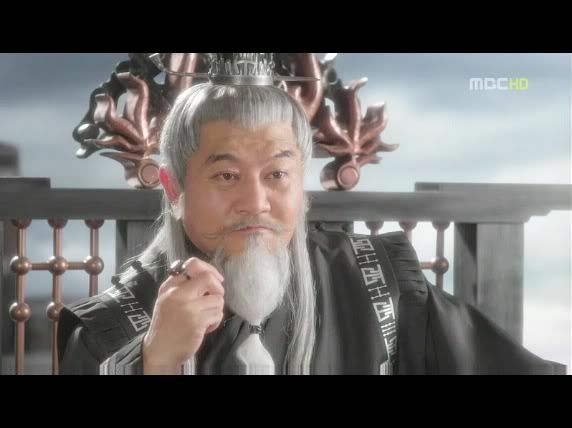 So are you still thinking Joo Wol is evil-evil? I’m thinking it’s the woman in the room and he brings souls to her. In this episode Eunoh said something that made me curious. When nobody came to pay respect for Lee seorim’s funeral, he talked about how it was a good thing that she didn’t meet her fiancé (as arang) because how sad it is that he (JW) doesn’t even remember her face. So i think that JW didn’t recognize her as his dead fiancé who came back alive (and whome he needs to kill once again) but he notices her as the girl whose contact made his ring glow and whome he needs to sacrifice. If ever hé fall for someone it would be Arang and not Seorim. I think that was more like saying She really knows how to pick a guy. I really think the deal between Arang and the Jade Emperor/Hades isn’t all it appears. I love that she didn’t hesitate to take their deal—she’s definitely an all-or-nothing type. But I really think they tricked her by saying three full moons, when it’s days before a full moon. Instead of 3 months, I think she only has 2+a few days. I definitely think there is a crazy-cool reason Eun Oh can see ghosts, and I love that Arang still can as well. I think that will be crucial to figuring out the whole mystery. Yes, they are using Arang, I mean the brothers. Do you remember when JW was listening to some girls chatting on the bridge? They were talking about the “full(rotten) moon” when the Jade emperor can’t see them, so anyone on earth can do anything without consequences? JW looked like they were right about it. I have a feeling it’s not her blood. I sure hope so because it’s sad that not even a day she’s turned human she’s already almost killed. as she was given 3 month to live,i think arang will die after that 3 month,right?! We aren’t gonna let that happen.., i want happy ending, want happy ending! 2. That something/someone only works on the full moon, just when Jade Hottie and Dr. Doom, can’t see from heaven. 3. His black ring is some kind of gps/lo jack/Google on the “next”target. 5. Is a curse-like situation that passed from generation to the next, from father to son, to the first male born? [I]Arang: [/I] Alive?? I was like “what” *looking like a Despicable Me minion*? How the heck that happens? She is alive!!!! What did she do? Well, she con the Sad Reaper… Well done!!! Magi: I love that he misses her when she was gone! I love even more that he worried about her reputation! I love even more that he was angry that nobody show to her funeral, except for the lady that took care of her…That was sad! He was sad, specially, coz, he couldn’t do much about, finding the truth! And I totally go berserk when he almost had a heart attack when he saw Arang…alive…in front of him…alive…Dol Soe can see her…alive…Did I already mentioned that Magi, saw Arang alive?? Jade Hottie and Dr. Doom: They trick Arang? Yes. The I-want-your-body? Mhahahahha Awesome! The whachutalkinabout…Genius!! That the whole Arang-come-back-as-human to investigate her own dead, is even bigger and gruesome than a simple murder. There is something very fishy about this, and it isn’t Choi Young, who want to left the WooDalChi, to become a fisherman…Something is going on, and it has something to do with the unbalance and the 400 years since some souls are missing…I find kind of intriguing that Jade Hottie, keeps saying, that everything is going to work out! Of course, because he knows everything, right? [B]Love with an expiration date [/B] is in deed, painful to watch…but that is life…we ALL have expiration dates…but the difference between us and Arang is that she knows hers, us, we are all unaware…which I think is sadder…coz, you never know, maybe it is in the next five minutes… Pity!! But not existing…at all! That is a different story…That means that you NEVER, will be born, will live, love, cry, feel, be sad or grow or be remembered when you died…Because no one ever knew your existence… Just like Lee Seo Rim was “living” or she barely existed?? This episode marks that for me and makes it very clear. No one recognize Arang as Lee Seo Rim, so she wasn’t living…In other words she never existed…even if she was alive. Town’s people didn’t recognize her, even her fiance, the man she was suppose to marry, didn’t know her? How is that even possible? That reminds me, someone says that she always had a handkerchief over her face and lived all her life in her room. That, that room, was her whole life… See, that is not existing!! Now, that is sad!! I love how Arang told the Jade Hottie and Dr. Doom, that she isn’t the same polite, well behave girl. She will succeed uncovering the mystery. And she will find “who killed her and why”!!! And with all those stare-contest I just have to say this is gonna get messier and uglier!! Bring it on, drama!!! Bring it ON!!! OMG, right now i feel so desperate bcoz wednesday still long…. I need A&M now, i’m totally addicted to it. 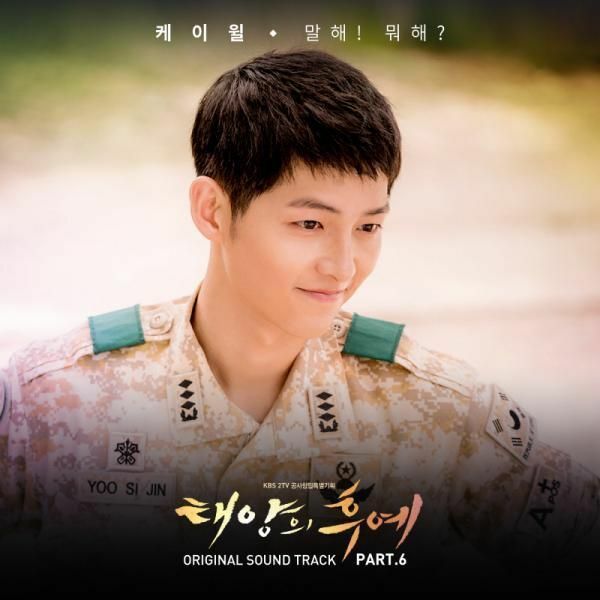 I never fall for a saeguk drama like this….